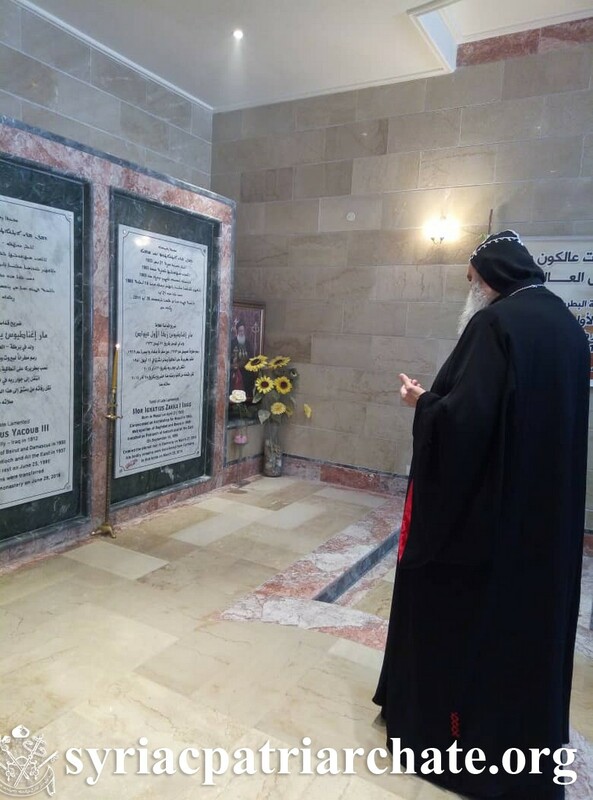 On March 21, 2019, for the occasion of the 5 years memorial of the departure of the Late Patriarch Mor Ignatius Zakka I Iwas (March 21, 2014), His Holiness Patriarch Mor Ignatius Aphrem II presided over Evening Prayer at Mor Aphrem Monastery in Maarat Saydnaya. Monks and seminarians of Mor Aphrem Seminary attended the prayer. At the end of the prayer, His Holiness held a special service (teshmeshto d-Kumre) for the departed patriarchs at the tombs of the patriarchs in the Monastery.